Whether you have an only child or a group of three or more in tow, there are lovely, free places to take your children in New York's Nassau and Suffolk Counties. Here's a sampling of 12 excellent free things to do with kids on Long Island, ranging from unique museums, to hikes and more. Everyone's favorite "big bird," the Big Duck enchants young and old alike. Once a store that sold live Peking ducks, this whimsical building now functions as a must-see gift shop featuring "duckabilia." The whimsical building is now on the National Register of Historic Places. The big bird happily roosts on Route 24 Flanders, and you can bring the family for a view of the adorable avian any time, but if you want to go inside the bird to shop, call first to make sure they're open. It's absolutely free to take in all the beautiful sites of Long Island while walking through parks and other open spaces on Long Island. Choose from places like the Uplands Farm Nature Sanctuary, Quogue Wildlife Refuge, Sweetbriar Nature Center, Garvies Point Preserve, and much more. At Garvies Point Preserve, you'll find tranquil trails that leas to a quiet beach, while the Nature Conservancy’s Uplands Farm has a loop trail set within a forest, which kids will love. Bookstores throughout Long Island, including Book Revue in Huntington, and chains like Barnes & Noble, regularly schedule free book readings and author signings and more. In the Hamptons, Bookhampton, which has four locations and has been open for decades, periodically hosts storytimes with readings by staff and sometimes even celebrities (Alec Baldwin has been known to pop in!). Local libraries host storytimes as well. The town of Brookhaven is home to a unique animal preserve with more than 100 rescued animals on-site, many of which were injured or are not releasable into the wild for various reasons. Admission is free, and kids can feed the goats for just 25 cents. It's open seven days a week throughout most of the year. This sprawling shopping center in Stony Brook often features free entertainment, including live music, art exhibits, seasonal fun and more. While some of these events (like a recent motorcycle exhibit are subject to a nominal fee), many are free. Recently, the village center has hosted free summer concerts and even hosts a scarecrow competition in the fall. Of course, even if no events are taking place, the idyllic village center is still enjoyable to walk around and window shop. Take long, enjoyable walks with your family, touring picturesque neighborhoods like Sea Cliff, Northport, Cold Spring Harbor, Port Washington, Lloyd Neck, Oyster Bay, and more. 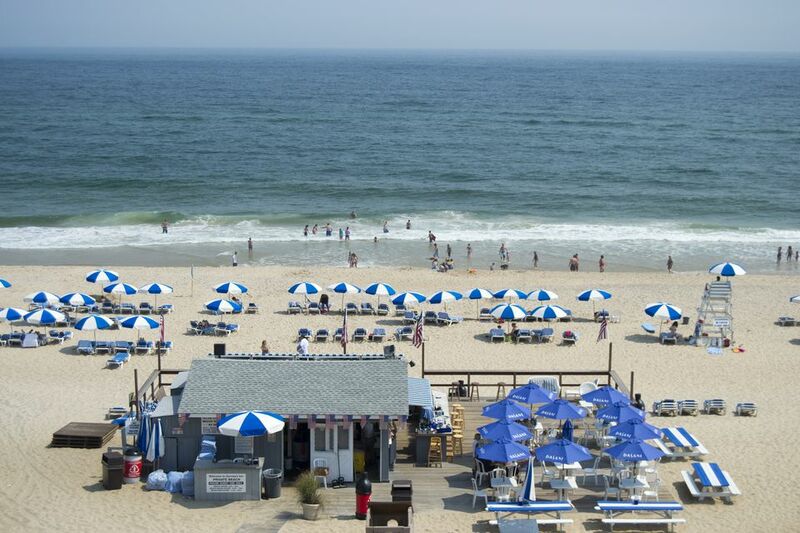 From the sprawling expanses of Long Beach to the powder-fine sands of Jones Beach, the surfing mecca of Montauk and more, Long Island offers miles and miles of Atlantic seashore. While some beach towns may require an entrance fee if you're not a resident, you can typically access beaches for free between Labor Day and Memorial Day and after 5 or 6 p.m. each evening. From the Fourth of July Festival at Sagamore Hill to the Oyster Bay Festival to the Cow Harbor Festival in Northport and more, Long Island offers some great outdoor events without an admission fee. Families will love the annual peach festival at family-owned Harbes Farm and the ​Long Island Family Festival, held each year in Copiague. At the latter, families can enjoy live music, a pet expo, vendors, carnival rides, and more. Are the kids interested in aircraft made right here on Long Island? Then a visit to Grumman Memorial Park is a must. This free park features displays of actual aircraft like the mighty F-14A Tomcat, which was manufactured by Grumman for decades. The park was dedicated in 2000, and the centerpiece is the Tomcat mentioned above, one of over 700 built at the facility between 1971 and 1992. It was donated to the town by the U.S. Navy. If you have a Bank of America or Merrill Lynch ATM, credit, or check card, you can take advantage of the bank's "Museums on Us" program. On the first full weekend of every month, show your card for free general admission to over 100 museums across the country. On Long Island, this program includes the Long Island Museum in Stony Brook and Old Westbury Gardens. With 6,000 square feet of exhibit space, an auditorium, a cozy tea house, and even Eubie Blake's piano, the African American Museum of Nassau County highlights African American art and culture in a sunny space in Hempstead. Kids can learn about their own culture or gain an appreciation of other cultures here, all for free. Ring in the holiday season with one of Long Island's many festive Christmas tree or menorah lightings. Almost all of these cheerful events are free, but noteworthy events include the annual lighting at Old Westbury's Life Lutheran Church, which includes hot cocoa and a 75-foot Oriental Spruce tree, and the holiday parade and tree lighting in Huntington, which includes face painting, a bouncy house, and a visit from Santa Claus.